This post was developed in collaboration with Hopworks Urban Brewery, a supporter of Good Stuff NW. 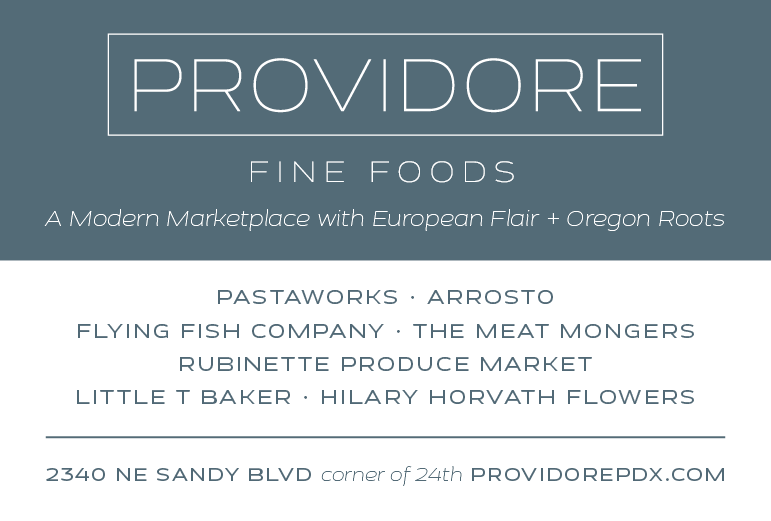 How does a fantastically successful Portland brewery celebrate its 10th anniversary? Well, if its founder is Christian Ettinger, it takes a whole year to do it justice. It started with an event in April when he looked back at his roots as a homebrewer, getting his first job as the head brewer of what would become Laurelwood Brewing Company, then, finally, establishing his own Hopworks Urban Brewery in Portland in 2008. 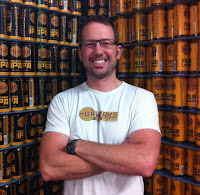 Brewmaster and founder Christian Ettinger. At that time, his passion for sustainability and the environment was behind the decision to rehab an old industrial building on a moribund strip of a major eastside thoroughfare. It involved rethinking the building's mechanical systems, electrical systems and storm drainage systems from its roof and parking lots, as well as the use of water, the main ingredient in making beer. Critical to its function but a source of much waste in the industry, Hopworks now only uses 3.39 gallons of water per gallon of its finished product, compared with an industry average of more than seven gallons per gallon of beer. This focus on systems led Ettinger in 2015 to seek out certification as a B-Corp, a designation that “uses the power of business to solve social and environmental problems.” Hopworks became only the seventh brewery in the world to earn that designation. Later that same year, Hopworks was the first brewery site in the country to achieve Salmon-Safe certification, an eco-label based on an assessment that considered the site’s stormwater management, water use, chemical and pesticide reduction, water quality protection and enhancement of urban ecological function. Which leads to the second part of the year-long celebration, the first annual Salmon-Safe IPA Festival being held at the brewery on Saturday, August 25th. The festival began taking shape when Hopworks issued a challenge to 35 craft breweries across the country to make an IPA-style beer using only Salmon-Safe certified ingredients. More than 20 breweries from some of the largest in the country to some of the smallest accepted and were given a list of farmers who produce beer-related ingredients. “We’re excited to be able to use our skills as brewers to bring attention to what’s going to be the single greatest issue facing humanity in the next decade,” Ettinger said. Dan Kent, co-founder and Executive Director of Salmon-Safe, said the festival is also a celebration of the hop growers and malt producers who have worked hard to ensure that their farming practices use water efficiently and don’t negatively affect nearby waterways. He said the craft beer industry became a focus for his organization when it found that 90 percent of all hops grown in the United States comes from two salmon watersheds—one in the Willamette Valley and the other in central Washington near Yakima. 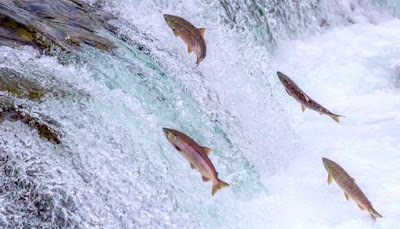 “Hopworks has been the champion for Salmon-Safe in the region,” Kent said, and he’s excited at the prospect of working with breweries that may not have been aware of the certification previously. Gayle Goschie in the hopyard at Goschie Farms. 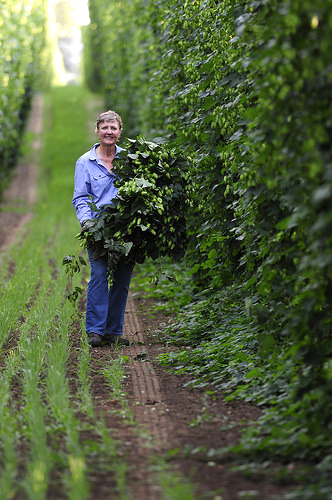 That appreciation of Hopworks extends to many of the growers who have worked with Ettinger over the years, including Gayle Goschie of Goschie Farms, the first hop grower in the country to be certified as Salmon-Safe. “From day one I have been impressed with Hopworks’ focus on sustainability and the lightness of its footprint,” Goschie said. She has found that awareness of the availability and quality of Salmon-Safe ingredients has grown from those early days to the point that now brewers are requesting certified hops to use in their beers. For Ettinger, his involvement with Salmon-Safe and clean water goes back to his childhood growing up in the Willamette Valley. Chinook salmon from the Willamette. “I spent a ton of time as a kid swimming in the Willamette and the Tualatin [rivers] and you tried not to open your mouth when you jumped in,” he said. He remembers asking himself why it was so gross, eventually coming to the realization that agriculture and industry had thoroughly ruined these waterways. “This is the world’s first ever Salmon-Safe invitational beer festival with the sole subject being how do we change the world through water and through responsible sourcing,” he said. 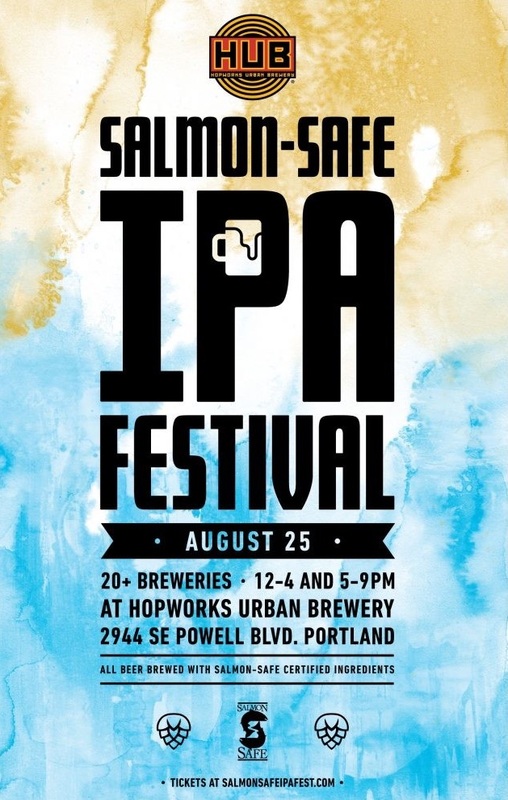 Purchase tickets for the Salmon Safe IPA Festival on Saturday, August 25. Photo of Gayle Goschie from USDA "Women in Ag" interview. 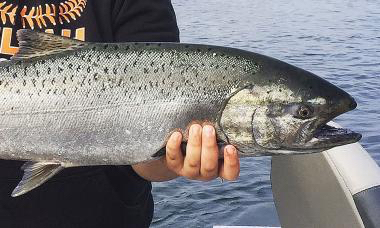 Photo of Chinook salmon from Oregon Dept. of Fish and Wildlife.